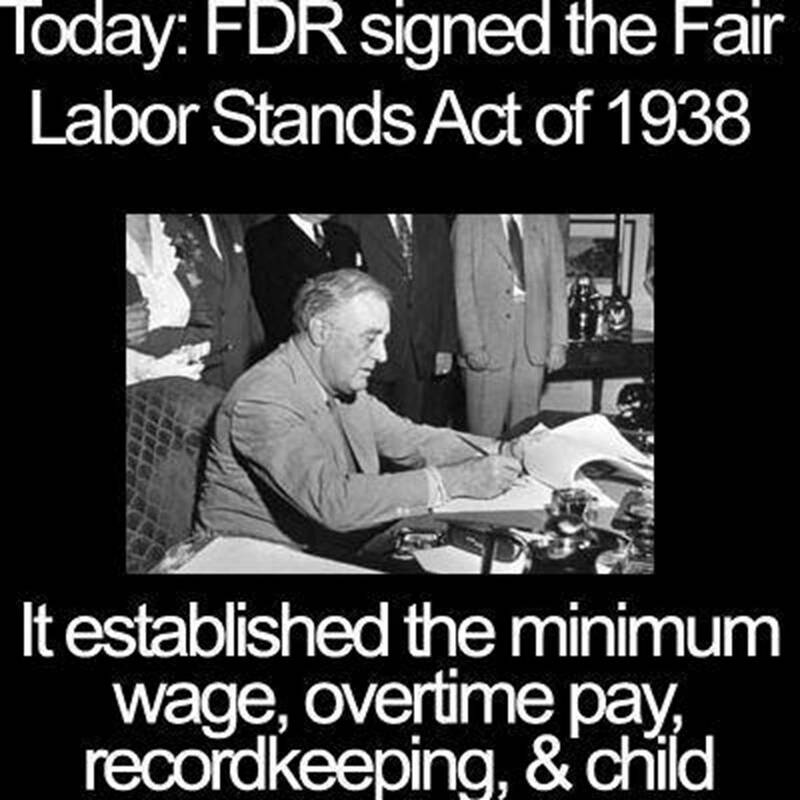 Monday, June 25, 2018 marks the 80th anniversary of enactment of Fair Labor Standards Act (FLSA) which provides protection to people working in the US. 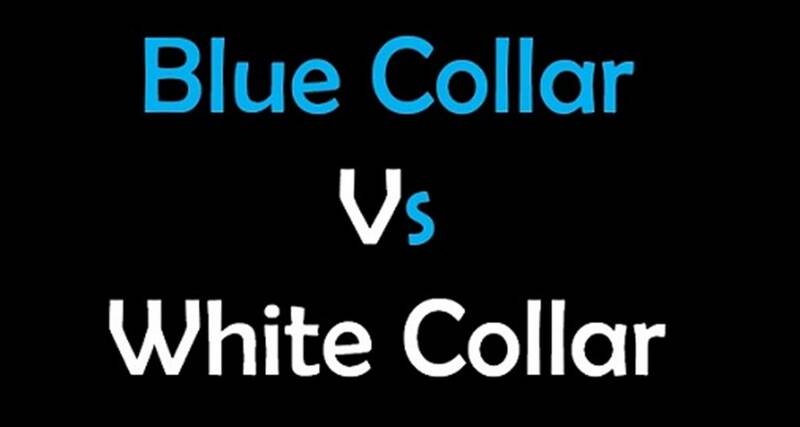 In my analysis, FLSA is fundamentally flawed for it divides workers into categories such as “White Collar” and “Blue Collar” without understanding basis for man’s existence in natural world. There can be no distinction among workers if Life is defined as ‘Knowledge in Action’. All human beings process similar kind of information and use chemical energy to perform similar kinds of sequential, guided, purposeful and goal-oriented actions described as ‘Metabolism’. I ask US Congress and The US Department of Labor to put an end to division of workers into White or Blue Collar. As such, each employee and his or her employer must make determination about compensation or remuneration and agree upon salaried or hourly wage for performing labor. In my view, Natural Science does not validate the concept of “WHITE-COLLAR” as no human being performs executive, administrative, or professional service while operating metabolic functions of human bodies of their own. No man lives as boss, ruler, governor, or administrator of his own body. The FLSA requires that a non-exempt employee receive minimum wages for his or her work, as well as overtime wages whenever he or she works more than 40 hours in a workweek. Section 13(a)(1) of the FLSA, however, exempts certain employees who perform bona fide executive, administrative, professional, and outside sales duties from minimum wage and overtime requirements. These exemptions are often called the “white-collar” exemptions. This fact sheet discusses the applicability of these exemptions to jobs that are common in higher education institutions. 3. The employee’s primary duty must involve the kind of work associated with the exempt status sought, such as executive, administrative, or professional work (the “duties test”). 4. Additional information concerning these exemptions is available in Fact Sheets 17A-G. See https://www.dol.gov/whd/regs/compliance/whdcomp.htm. A teacher is exempt if his or her primary duty is teaching, tutoring, instructing, or lecturing to impart knowledge, and if he or she is performing that duty as an employee of an educational establishment. See 29 C.F.R. § 541.303. Educational establishments include elementary school systems, secondary school systems, institutions of higher education, and other educational institutions. See 29 C.F.R. § 541.204(b). If a bona fide teacher meets this duty requirement, the salary level and salary basis tests do not apply. See 29 C.F.R. §§ 541.303(d), 541.600(e). Given these standards, professors, instructors, and adjunct professors typically qualify for this exemption. A faculty member who teaches online or remotely also may qualify for this exemption. The regulations do not restrict where bona fide teaching may take place, to whom the knowledge can be imparted, or how many hours a teacher must work per week to qualify for the exemption. The exemption would therefore ordinarily apply, for example, to a part-time faculty member of an educational establishment whose primary duty is to provide instruction through online courses to remote non-credit learners. The exemption could likewise apply, for example, to an agricultural extension agent who is employed by an educational establishment to travel and provide instruction to farmers, if the agent’s primary duty is teaching, instructing, or lecturing to impart knowledge. To determine a teacher’s primary duty, the relevant inquiry in all cases is the teacher’s actual job duties. Job titles or full/part-time status alone do not determine exempt status. A teacher does not become non-exempt merely because he or she spends a considerable amount of time in extracurricular activities (such as coaching athletic teams or supervising student clubs), provided the teacher’s primary duty is teaching. Athletic coaches employed by higher education institutions may qualify for the teacher exemption. After all, teaching may include instructing student-athletes in how to perform their sport. But a coach will not qualify for the exemption if his or her primary duties are recruiting students to play sports or visiting high schools and athletic camps to conduct student interviews. The amount of time the coach spends instructing student-athletes in a team sport is relevant, but not the exclusive factor, in determining the coach’s exempt status. 3. The advanced knowledge must be customarily acquired by a prolonged course of specialized intellectual instruction. See 29 C.F.R. § 541.301. Unless the employee is a teacher or practicing law or medicine, he or she must also satisfy the above-referenced salary basis and salary level tests to be an exempt professional. In higher education, examples of exempt non-teacher learned professionals generally include certified public accountants, psychologists, certified athletic trainers, and librarians. Postdoctoral fellows, who conduct research at a higher education institution after completing their doctoral studies, likewise generally meet the duties requirements of the learned professional exemption, and they may additionally qualify for the teacher exemption if teaching is their primary duty. 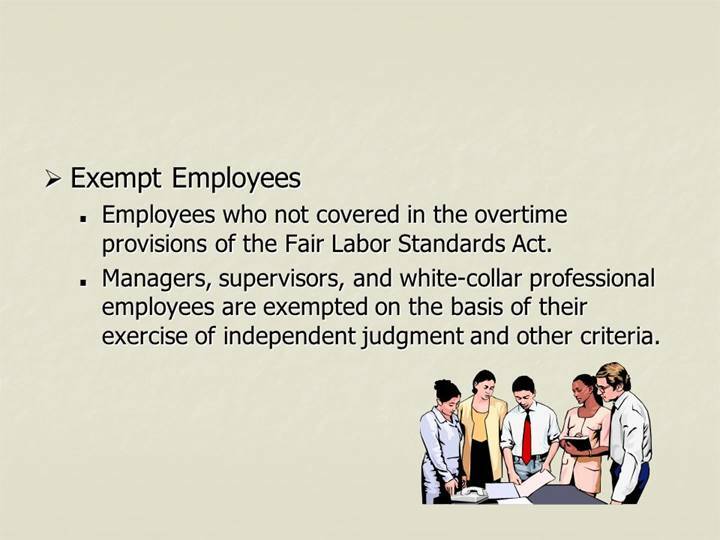 Of course, an employee’s qualification for the exemption depends on his or her actual job duties and education. Job titles alone are not sufficient for determining whether an employee satisfies the duties test. 3. The employee’s primary duty must include the exercise of discretion and independent judgment with respect to matters of significance. See 29 C.F.R. § 541.200. Such administrative employees in higher education might include, for example, admissions counselors or student financial aid officers. An employee’s qualification for the exemption depends on his or her actual job duties; job titles alone are not sufficient for determining whether an employee satisfies the duties test. 2. The employee’s primary duty must be to perform administrative functions directly related to academic instruction or training in an educational establishment. See 29 C.F.R. § 541.204. Employees who work in higher education but whose work does not relate to the educational field (such as work in general business operations) do not qualify as exempt academic administrative employees. See id. In higher education institutions, exempt academic administrative personnel generally include department heads, intervention specialists who are available to respond to student academic issues, and other employees with similar responsibilities. Exempt administrative personnel would likewise generally include academic counselors who administer school testing programs, assist students with academic problems, and advise students concerning degree requirements. Again, whether an employee satisfies the duties test for these exemptions depends on the employee’s actual job duties, not just the employee’s job title. 4. The employee must have the authority to hire or fire other employees, or in the alternative, the employee’s suggestions and recommendations as to the hiring, firing, advancement, promotion, or any other change of status of other employees must be given particular weight. See 29 C.F.R. § 541.100. Various positions in higher education institutions might qualify for the executive exemption, including deans, department heads, directors, and any other manager or supervisor whose job duties and compensation satisfy the above criteria. · Graduate Teaching Assistants. Graduate teaching assistants whose primary duty is teaching are exempt. Because they qualify for the teacher exemption, they are not subject to the salary basis and salary level tests. · Research Assistants. Generally, an educational relationship exists when a graduate or undergraduate student performs research under a faculty member’s supervision while obtaining a degree. Under these circumstances, the Department would not assert that an employment relationship exists with either the school or any grantor funding the student’s research. This is true even though the student may receive a stipend for performing the research. · Student Residential Assistants. Students enrolled in bona fide educational programs who are residential assistants and receive reduced room or board charges or tuition credits are not generally considered employees under the FLSA. They therefore are not entitled to minimum wages and overtime under the FLSA. An employment relationship will generally exist when a student receives compensation and his or her duties are not part of an overall education program. For example, students who work at food service counters, sell programs or usher at events, or wash dishes in dining halls and anticipate some compensation (for example, money or meals) are generally considered employees entitled to minimum wage and overtime compensation. Public universities or colleges that qualify as a “public agency” under the FLSA may compensate non-exempt employees with compensatory time off (or “comp time”) in lieu of overtime pay. A college or university is a public agency under the FLSA if it is a political subdivision of a State. When determining whether a college or university is a “political subdivision,” the Department considers whether (1) the State directly created the entity, or (2) individuals administering the entity are responsible to public officials or the general electorate. If the public university or college qualifies as a public agency, non-exempt employees generally may not accrue more than 240 hours of comp time. However, employees engaged to work in a public safety activity, an emergency response activity, or a seasonal activity may accrue as much as 480 hours of comp time. See 29 U.S.C. 207(o)(3)(A). 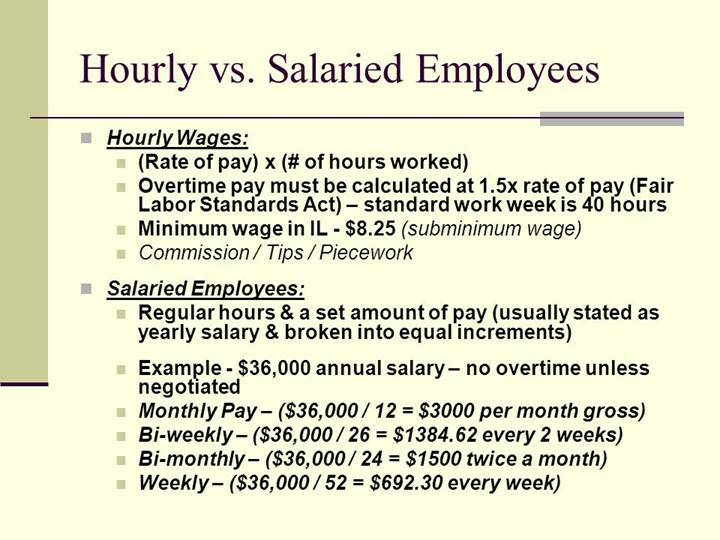 Private higher education institutions may not pay employees comp time in lieu of overtime pay. This publication is for general information and is not a regulation. For additional information, visit our Wage and Hour Division Website: http://www.wagehour.dol.gov and/or call our toll-free information and help line, available 8 a.m. to 5 p.m. in your time zone at: 1-866-4USWAGE (1-866-487-9243). The Department of Labor is undertaking rule making to revise the regulations located at 29 C.F.R. part 541, which govern the exemption of executive, administrative, and professional employees from the Fair Labor Standards Act’s minimum wage and overtime pay requirements. Until the Department issues its final rule, it will enforce the part 541 regulations in effect on November 30, 2016, including the $455 per week standard salary level. These regulations are available at: https://www.dol.gov/whd/overtime/regulations.pdf.